Modern baptismal look of your little bobi. The set includes beautiful cotton burgundy color pants with beautiful gray straps hanging from the outside in a modern style. 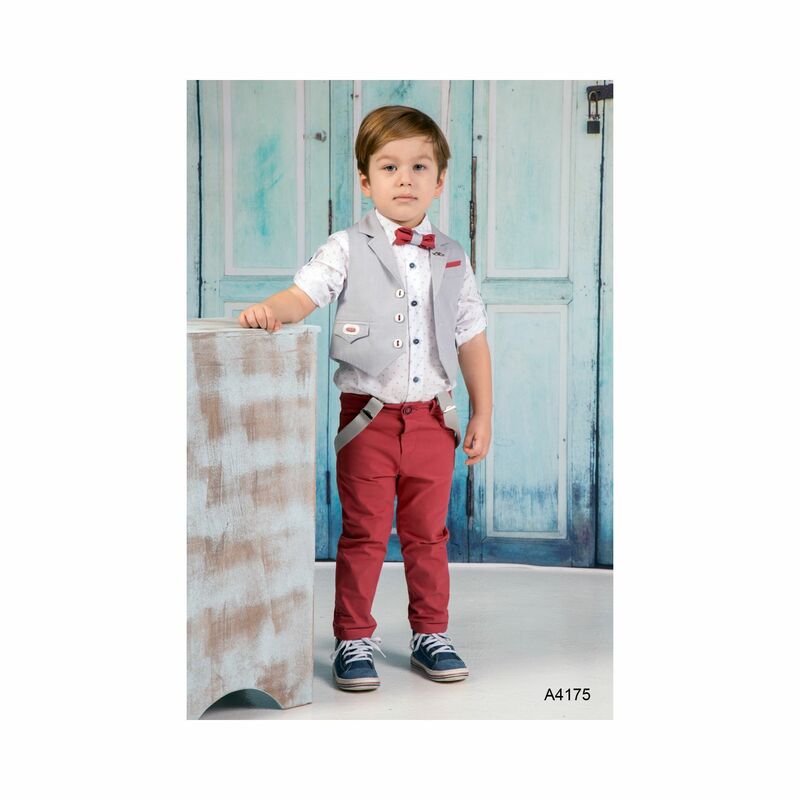 It combines very beautiful with a white shirt and a gray small vest decorated with beautiful burgundy details and burgundy bowtie. https://www.preciousandpretty.com/2018/07/greek-orthodox-baptism-clothes-A4175.html Greek Wedding Favors|Orthodox Crowns|Stefana|Baptism Invitations Greek Orthodox Baptism clothes A4175 Greek Baptism clothes in modern style, with burgundy color pants and gray vest. Product #: Greek Wedding Favors|Orthodox Crowns|Stefana|Baptism Invitations_7775277198643759682 5 stars out of 5 reviews.